3 notebooks à 32 pages in the set. 15 x 9.5 cm. Two unlined, one lined (with 8 mm between the lines). Untreated paper (100 g/m²), soft white. 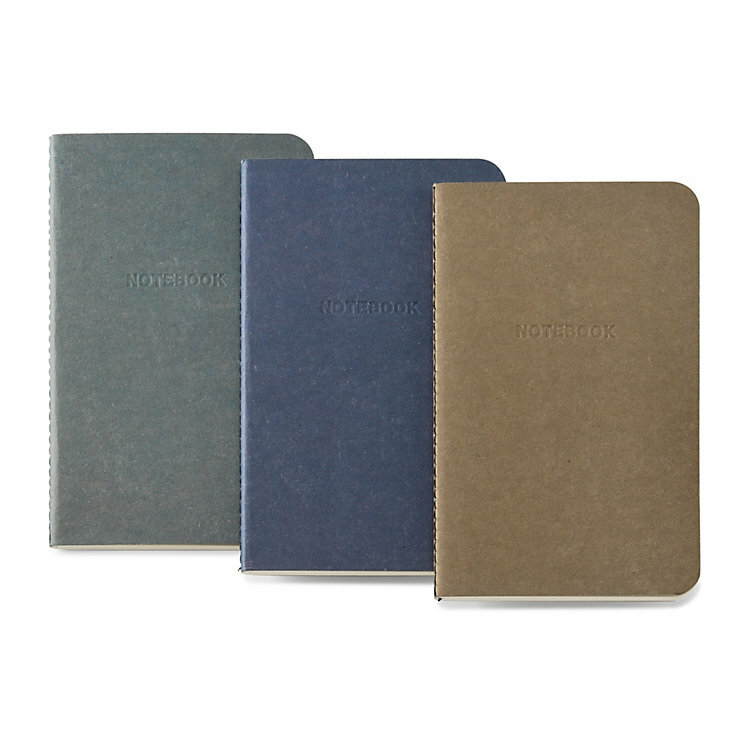 Cover comes in blue, grey and light brown printed grey recycling-pasteboard with blind embossing. Saddle stitch binding. Made in South Korea.